Adding your name to the ranks of more than 64,000 pharmacy colleagues declares your pride in the profession you have chosen. Support APhA’s advocacy efforts as we work with policy makers to implement health care reform legislation and as we continue to advocate for legislation and regulations that positively impact the profession. Join us in efforts to promote the important role of pharmacists on the health care team. 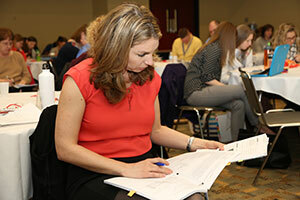 APhA Student Pharmacist members gain practical hands-on experience through patient care projects such as Operation Heart, Generation Rx, and Operation Diabetes to name just a few. 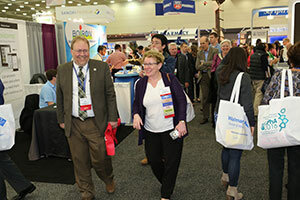 APhA has an extensive awards and scholarships program recognizing members for involvement in the Association, for leadership, academic success and grassroots advocacy. The APhA-APPM and APhA-APRS Academies bestow the prestigious APhA Fellows designation to members for service and achievement in the profession and for service to the Association. 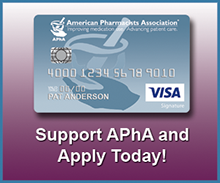 The APhA Foundation supports members through awards and scholarship programs.